Desert Spice Family Restaurant in Jhunjhunu. 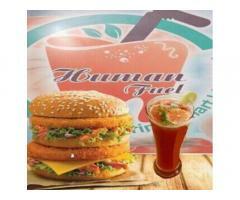 Home Delivery Restaurants with Address, Contact Number, Photos, Maps. 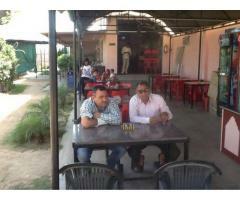 View Desert Spice Family Restaurant, Jhunjhunu on Justdial. Making way for a hearty meal is Desert Spice Family Restaurant in Jhunjhunu. Established in the year 2016, this place is synonymous with delicious food that can satiate all food cravings. It is home to some of the most appreciated cuisines. So as to be able to cater to a large number of diners, it occupies a favourable location at Mandawa Road. Mandawa Road,Near Tagore school-333001, Jhunjhunu is where one can visit the venue. Courtesy to this strategic location, foodies in and around the neighborhood can walk in to this eating house conveniently without facing any hassles related to commuting to this part of the city. It is one of the most sought after Restaurants in Mandawa Road. This is a one of the renowned Restaurants in Jhunjhunu. Desert Spice Family Restaurant at Mandawa Road makes sure one has a great food experience by offering highly palatable food. The various services offered at the venue include Banquet Hall , Buffet , Birthday / Group Parties , Candle Light Dinner , Ghazal Nights , Tv Screens , Live Entertainment , Good Place For Kids , Pure Vegetarian , Security Services , Valet Parking , Outdoor Seating , Ac , Home Delivery , Catering Services , Open Air . The restaurant welcomes guests from 08:00 - 23:00 allowing diners to relish a scrumptious meal between the functional hours.The price range of the food at the restaurant ranges from 2. One can make their payment via Cash. This is a JD Verified restaurant. 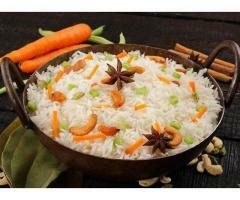 This listing is also listed in Restaurants, Home Delivery Restaurants, Moderate Restaurants (Rs 500 To Rs 1000). One can reach the restaurant on +(91)-9783317111 for any other details.